Addison Lee’s ad performed exceptionally well having people looking at it for over twice as long than expected (1.7s to 0.7s) making it over three times more engaging than Uber’s! 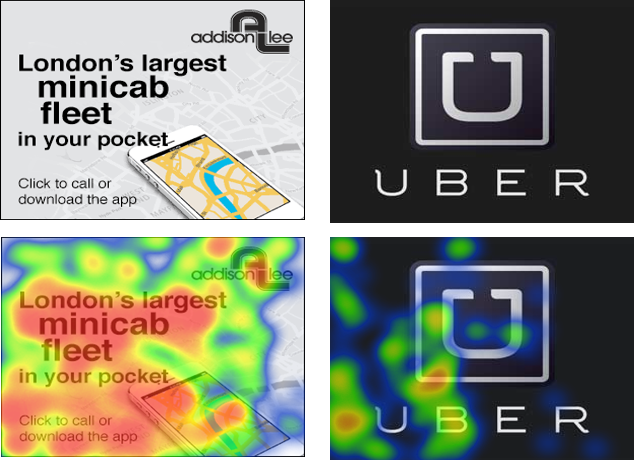 Although both ads underperformed in comparison to MPU format viewability % norms : 21% noticed Uber's ad compared to Addison Lee's 27%. Most of the attention was drawn towards the headline in Addison Lee's ad which ensured key messages of the ad were taken home by viewers. - Making it our winner! Get in touch with us to test ads of your own, we'd love to hear from you!